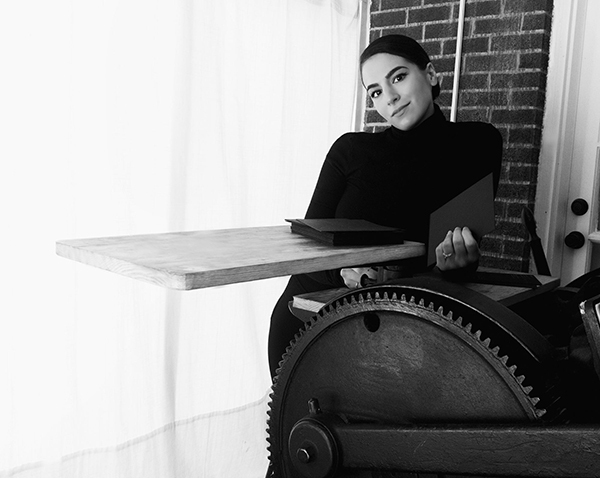 Braiding her cross-disciplines of graphic design, web programming, psychology and a love for minimalistic & organic design, Giorgia Katerina of PRESSDD creates beautiful letterpress pieces with panache. 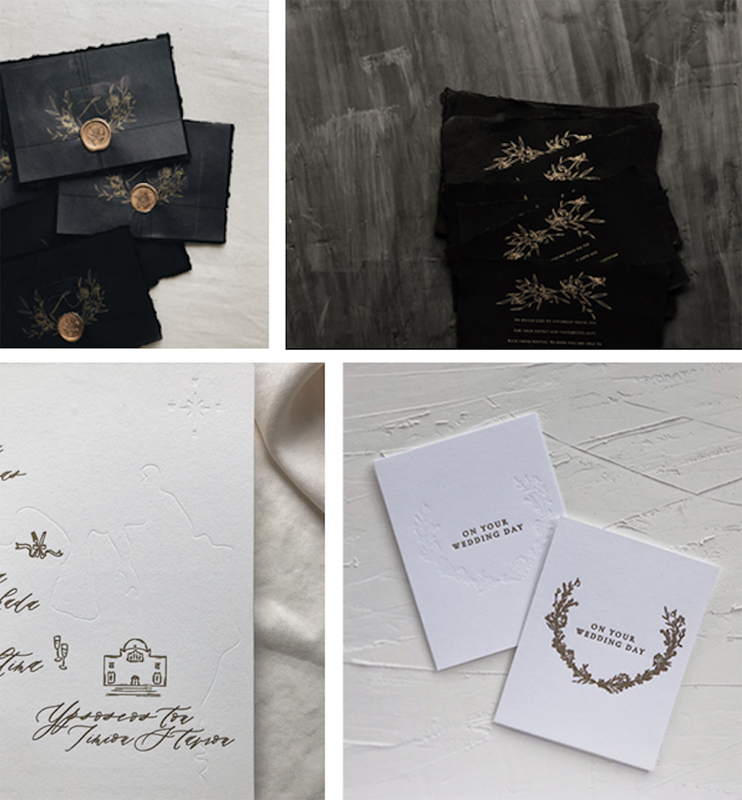 Having come by letterpress from a curiosity to know more about the printing tradition, Giorgia has woven into her bespoke creations a love of floral motifs, her great eye for detail, and welcoming warmth. We talk shop on her next adventures into a custom line, the joys of finding zen in her press room, and the exciting feeling of accomplishment when an ink run lines up just perfectly on the press. RENAISSANCE WOMAN Obtaining a degree in psychology, I originally envisioned pursuing something in this field. Shortly thereafter, I came to the realization my love for design was stronger than that of psychology. As a result, four years ago I started out as a freelance graphic designer and web programmer. Now, I specialize in bespoke wedding stationery. GETTING HOOKED ON LETTERPRESS My journey into letterpress was very unconventional. With a background in graphic design, letterpress was the last thing on my mind. Always looking for design inspiration, I started noticing beautifully printed pieces. Curious by nature, I became eager to learn how to make stationery pieces. As a result, I became hooked on letterpress! PEACEFUL PRINTSHOP My press room is my personal oasis, complete with no distractions … just me and my press. First and foremost, the accessibility of my press room is second to none. Connected to my home studio, this gives me the flexibility to print at any given time. In this room, you will find a Chandler and Price 12×18 press. In addition, I have a Kensol 27T (which is not part of my studio). Complete with no distractions, just me and my press! BEAUTY IN THE BUCKEYE STATE I’m based in Rocky River, a suburb of Cleveland, Ohio. A picturesque little town where coffee shops and restaurants are all within walking distance. FINDING THE CREATIVE VEIN As a self-taught printer, with no true print mentor I find my design inspiration comes from minimalism and organic elements. With a passion for exploring various textural elements, I love how letterpress can create a beautiful, deep blind impression. PART TIME PRINTING, FULL-TIME FUN As a stationery designer, and a part-time printer I always look forward to press days … as it gets me up and moving, and away from the computer! EFFECTIVE AND FLORAL INFUSED DESIGN As a designer, I like to keep things simple and modern with a touch of organic elements. I love working with florals. Whether it is scanning them to use as background images or sketching them for the press. Similarly, I like to incorporate elements of old-school romance in my work. My favorite period is the French Renaissance! PRINTING FEATS My clients are second to none, and I absolutely love working with them and helping bring their vision to life. 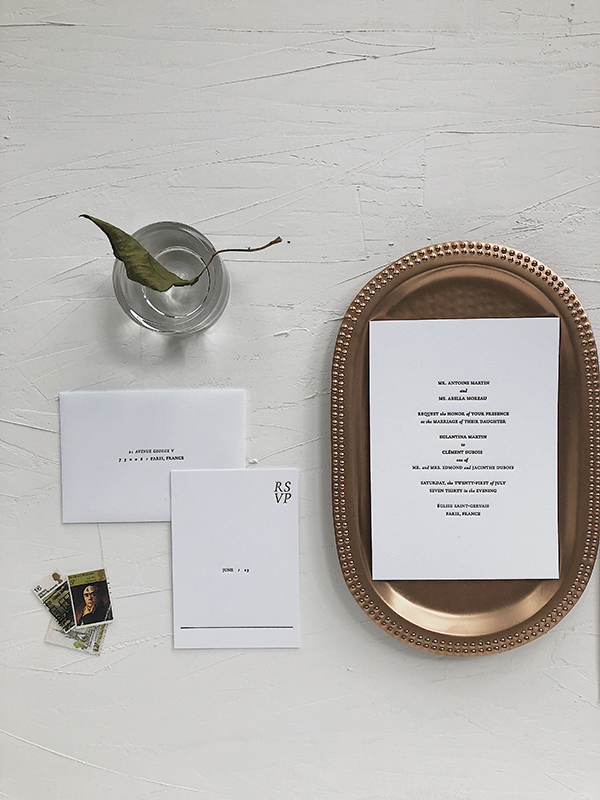 Simply put, there is no better feeling than being able to give my clients a bespoke letterpress wedding suite designed and pressed specifically for them. PRESS HISTORY As a perfectionist, and having spent countless hours on any given project, my first print job was such a rush! 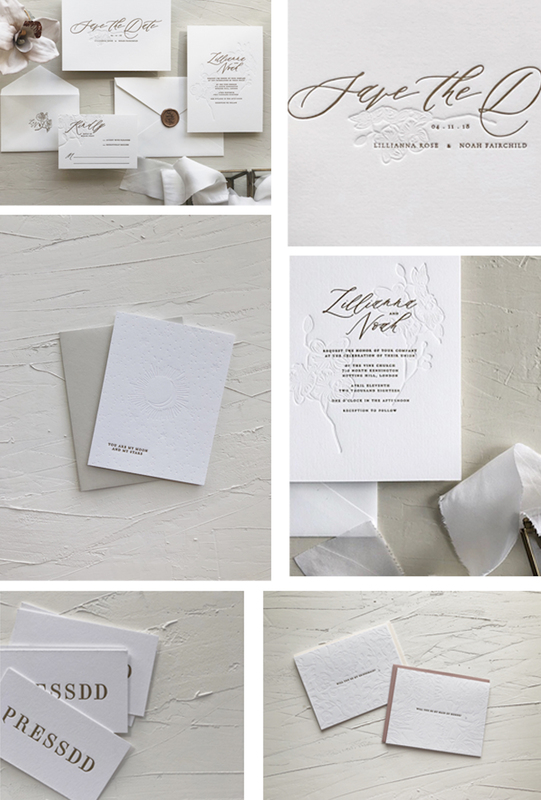 I had just started as a full-time freelancer … and my first assignment was a wedding suite. BOXCAR’S ROLE First and foremost, I want to give a shoutout to my girl Rebecca, who was a dream to work with! She and Boxcar Press have saved me quite a few times during the plate making stages. From helping me stock my studio with all the essentials (like everything in my shop … and outside of my C&P and type) to being an excellent printing resource in my times of need. Needless to say, I was lost without the help of Boxcar Press! PRINTING TIPS My biggest frustrations is setting up a registration for a run. I have spent countless hours measuring, and remeasuring just to ensure the plate is in a perfect position. My advice, print a digital copy of the plate design using the same size sheet of paper you’ll press. Next, tape the plate over the print and transfer it to the base. This will help you save time, and will minimize the number of hours spent measuring (or remeasuring). WHAT’S NEXT There are a couple big plans on the horizon for PRESSDD. Most recently, I’ve reintroduced greeting cards into my printing repertoire. 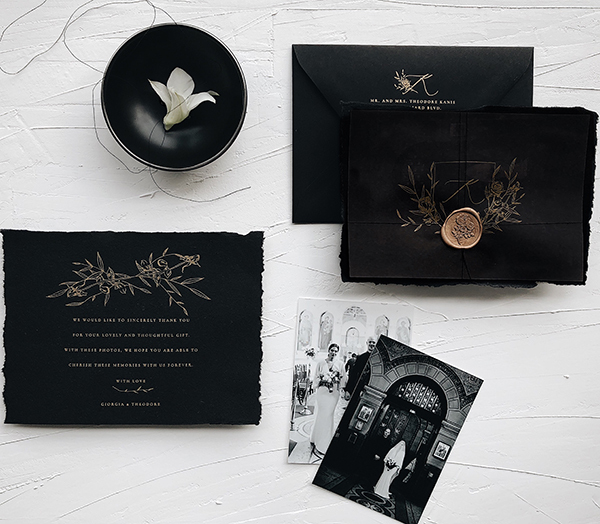 In addition, I will also be looking to expand my wedding stationery and will be releasing a semi-custom collection. We here at Boxcar Press would like to give a huge round of applause and thanks to Giorgia Katerina of PRESSDD! We’ll keep our eyes peeled for what she cooks up next in the print shop. If you would like to be one of Boxcar Press’ featured printers, please complete the Printers Profile questionnaire.